The earliest building on this section of Queen Street was the Duncan Mason Building (built in 1855) on the north east corner of Dorchester and Queen Streets. A number of businesses operated from this old building including Duncan, Mason & Co., C. Robertson’s tailor shop, Carter & Co., Beyond the Beach and a Clover Farm. In contrast, the PEI Liquor Commission is a relative newcomer to the block. Its neighbour, the Sims Building, has been here since 1862; beginning its life as a private home, and becoming a business in the later 19th century owned by P.P. Gillis. 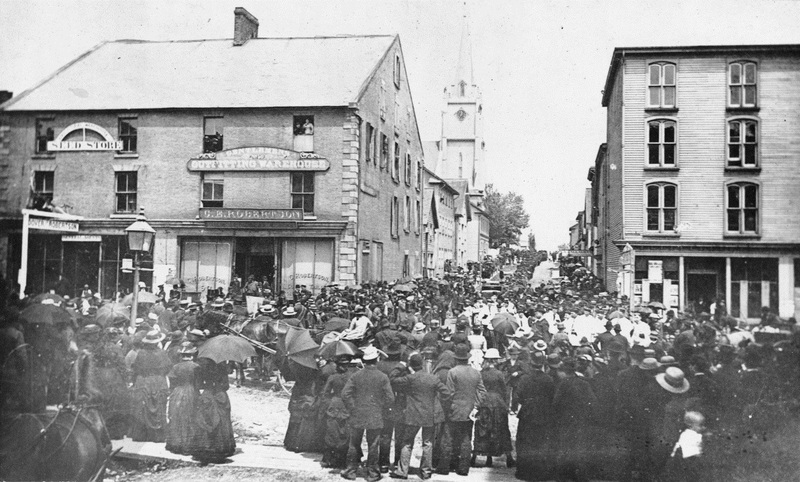 Gillis was a colourful, local merchant who owned a variety of businesses, including a stable and the Red Pharmacy, which had a “conviviality shop”- or bootlegger – located in the back. It was quite popular with local businessmen during prohibition. Before settling in for a drink, or afterward, gentlemen did not need to go elsewhere to get their hair cut or a shave as Reardon’s Barbershop was operating on the premises. Across the street, on the south west corner of Sydney and Queen Streets, the Royal Bank opened on this block in 1991. Interestingly, its design is much more traditional than the modern 1958 building two blocks up that it replaced (the Guild). 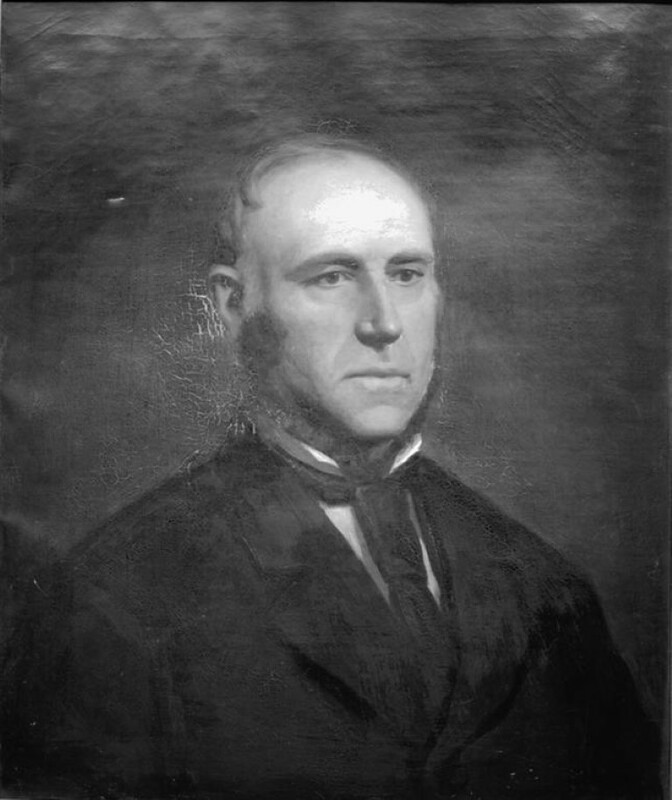 Businessman, Owen Connolly was a dominant presence on this block. A self-made man, he began his life in the colony as a farmhand, then rose to become one the Island’s most successful businessmen. 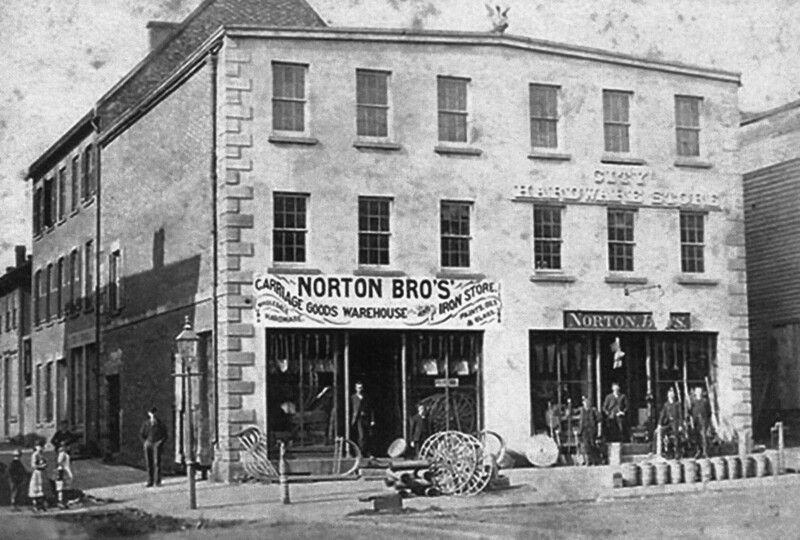 His 1864 combination home, store and Merchants Bank of Nova Scotia outlet was nearby at 75 Dorchester Street. After his death, his estate continued to construct buildings around town including 75 Queen Street (Churchill Arms). A shy man, it is said that Connolly never would have agreed to have his likeness placed atop a building but we’re glad the estate honoured him in such a way. It is the only building with this feature in Charlottetown. 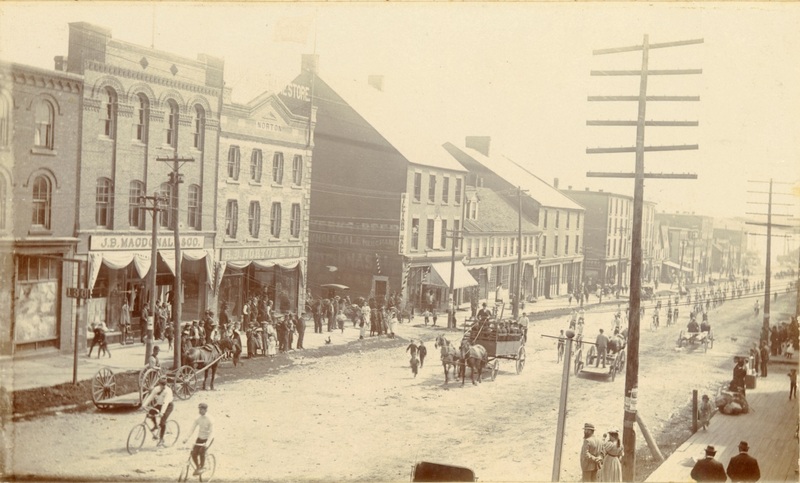 The north west corner of Queen and Dorchester Streets was one of the areas that bordered the Great Fire of 1866. It was not the first fire in this area of town. The building that currently houses the Canton Cafe (71-73 Queen Street) was once referred to as the Phoenix Building, named so for the proverbial “phoenix rising from the ashes” due to its two brushes with fire. In the exhibit image, you can almost make out the figure of a phoenix at the top of the building. The first encounter with fire occurred in May 1866 when a young man – either accidentally or on purpose – burned the circa 1848 building to the ground. Before it was fully reconstructed, the Great Fire of 1866 occurred and stopped nearby on the next block. In fact, 71-73 Queen Street was one of the structures credited with containing the blaze. 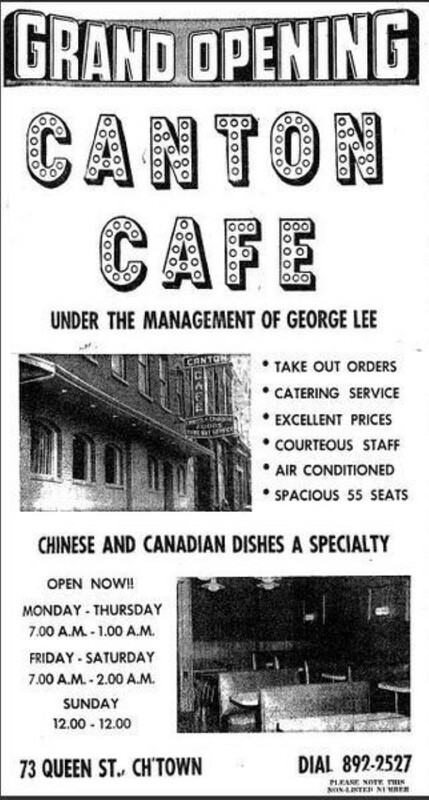 If we fast forward a little over a hundred years, in circa 1969, George Lee would open his landmark Canton Cafe where generations of late night revellers have dropped in for eggrolls or a “Combo A”.